Essentially three groups of research workers are con- cerned with biomaterials. The biophysicists, the biochemists and some bioengineers (particularly the metallurgists) are engaged in a study of the basic properties of engineering materials suitable for medical use and of biological mate- rials. The bioengineers in general as part of a team are engaged in developing new devices suitable for medical pur- poses including implantable devices; spectacular examples of such devices are artificial kidney and mechanical heart. 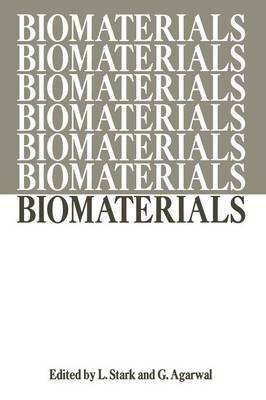 The medical people, dentists, surgeons and others, play an impor- tant role in developing criterions for the biomaterials, in the eValuation of such materials in physiological environment and as consumers of biomaterials. This workshop was an effort to bring together representatives of the above groups to ex- change experiences and viewpoints in regard to both research and training in this rapidly developing and vital area. The individual presentations are some typical examples of biomaterials research. There are numerous other examples but basically they fall into three categories: materials in medicine, biological materials, and semi-artificial materials derived from biological sources. As a whole, the book pro- vides a comprehensive but not exhaustive picture of the present state of affairs in the field of biomaterials. To the educators the discussion on training should be of par- ticular interest. Those concerned with scientific adminis- trations and policy would find the section on the interaction between government, industry and university very valuable.